I love capes for little girls. Like playsuits, capes are one of those looks best pulled off by preschoolers. Last winter I lived vicariously through my daughter and her couple (or so…) of capes. 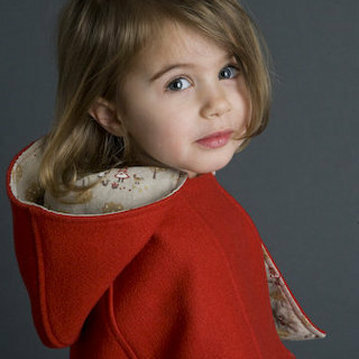 It seems I’ll be doing the same this winter after I spied the divine Little Red-Ridinghood Cape by Patouche. We reviewed Patouche’s spring collection last year and they have since added the piece de résistance to their collection – the Little Red-Ridinghood Cape. 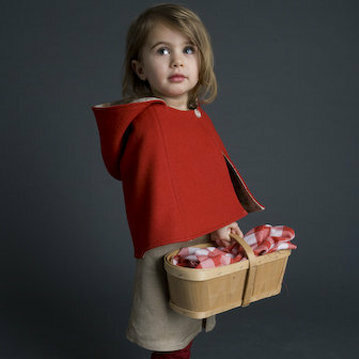 Made from Melton wool and lined with a sweet Japanese print of Little Red Riding Hood’s walk through the woods, this cape is the perfect thing for little girls who like a touch of ‘dress-ups’ in their everyday wardrobe. 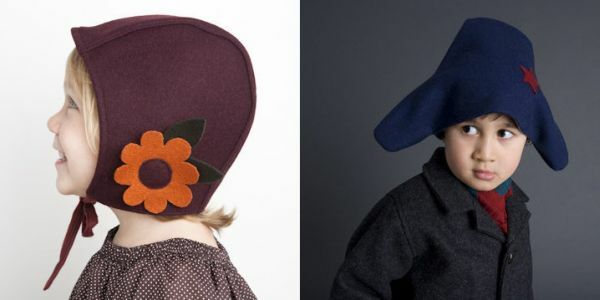 Also in the collection are superb woollen bonnets, perfect for keeping little ears warm and terrific woollen pirate hats. Since we last checked in with Patouche, they have added their own online store to their Etsy setup. The cape is CAN$80 and the bonnets and pirate hats are CAN$38 a piece. Patouche will ship to Australia. We have a fixation with capes right now and recently looked at the options for capes this Winter available in Australia.